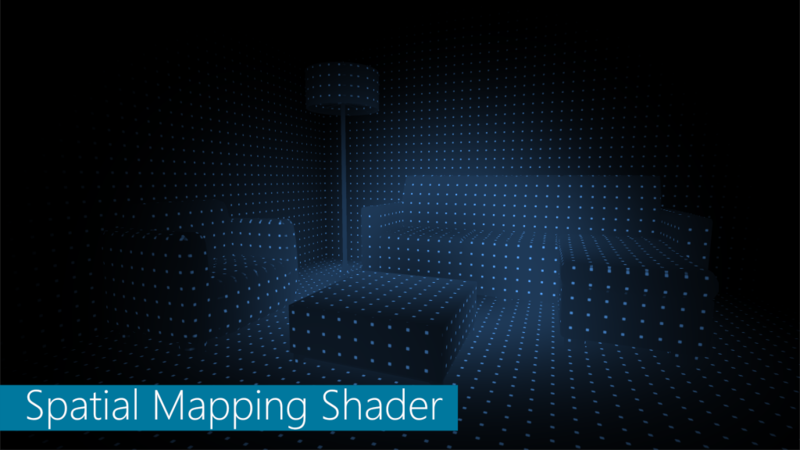 Boost your HoloLens development with these shaders that were optimized for running on the HoloLens device. It includes many effects that are inspired by Microsoft HoloLens demos. Probably the most powerful feature of HoloLens is it’s ability to create and overlay a 3D representation of a room. The generated spatial mapping geometry is basically a bucket of triangles. It’s up to the developer to make a creative visualization of it. 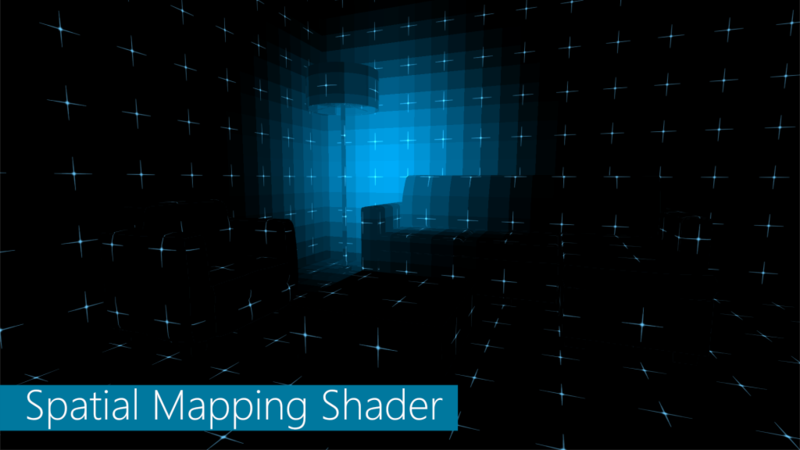 The HoloLens Shader Pack contains several shaders and materials that are especially aimed at creating interesting textures and effects for the spatial mapping geometry. These materials take into account the limitations of using them on the actual device. 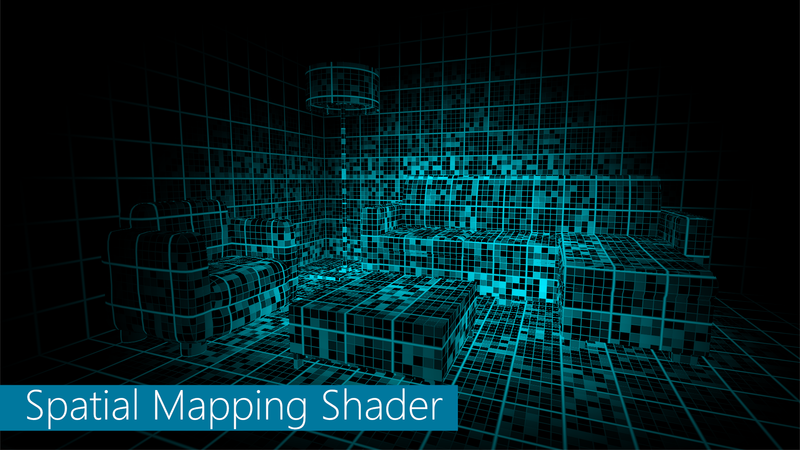 Example materials are included to showcase the shaders that they are based on. 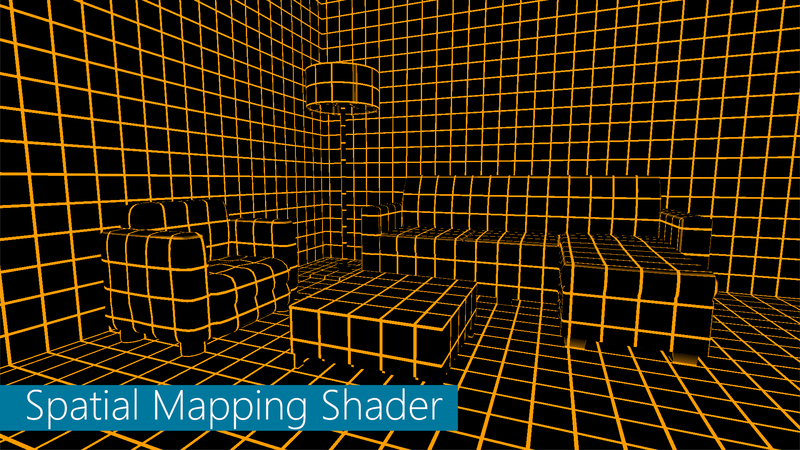 The included shaders can achieve totally different looks depending on their configured values. Experimenting is highly recommended. Furthermore the spatial mapping materials can be configured to show a circular pulse that can be used to reveal the spatial mesh. Utility scripts for animating these pulses are included in the pack. A single color material of with lots of animated details. Based on the same shader as the triangles material, but with a different input texture for defining the cells and lines. The classic orange grid with thick lines, but now applied to the spatial mesh of your room. Based on the same shader as the previous material, but with a totally different appearance due to different configuration of the shader variables. A double grid material with different colors for each grid. A material that wraps the mesh in a pattern of bright crosses and adds a glow highlight that can be controlled by gaze. 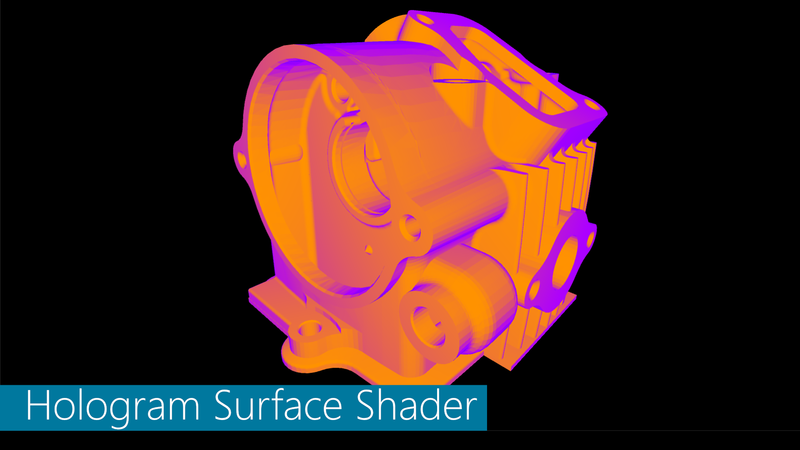 When importing models from 3D scans, CAD packages or other sources often materials are not prepared for rendering on the HoloLens. Either materials are missing completely or the used materials are aimed at visualization on a desktop PC or VR headset. Since the HoloLens displays can only add light on top of a real scene some materials deliver better results than others. 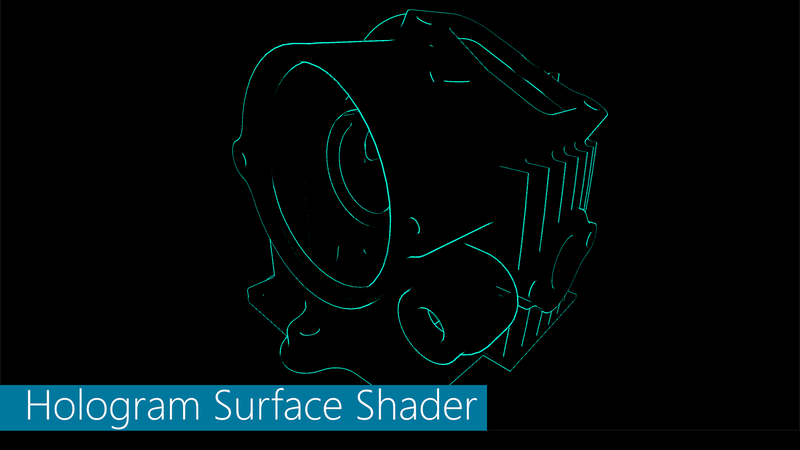 The HoloLens Shader Pack comes with a selection of materials that are useful for holographic displays. Provides help in understanding complex geometrical shapes. Based on the same shader, but with a different feel due to different colors. Creates outlines that appear to be floating in mid-air. 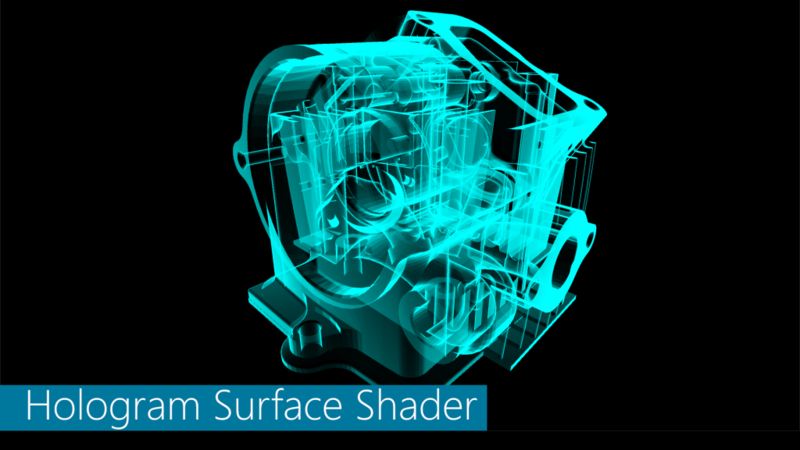 Reveals the internal structure of objects. The floating wire shader with added transparent falloff. The holographic shader with added animating stripes to mimic the classic hologram transmission effect. 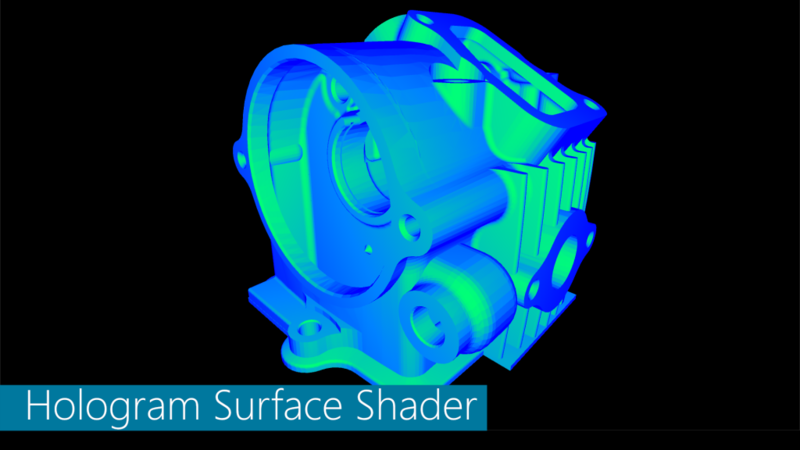 The always useful triplanar shader to quickly texture a mesh that has no texture coordinates. There’s also a three texture variant so you can use three different textures for all major axes. 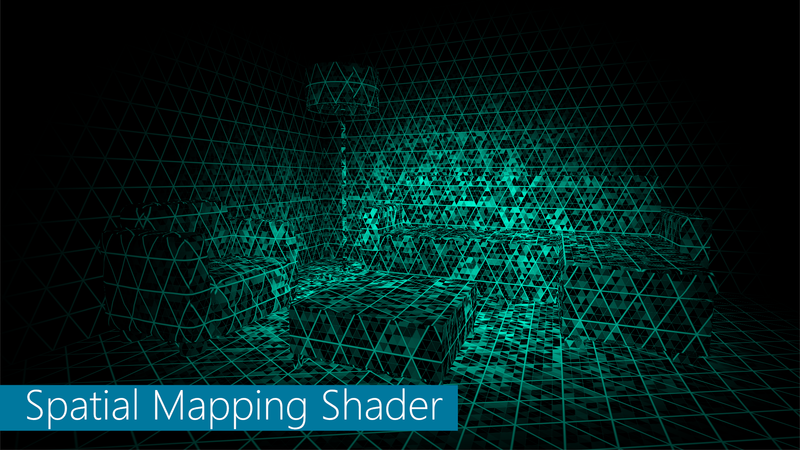 A shader that has triangles with different colors for the front and back material. 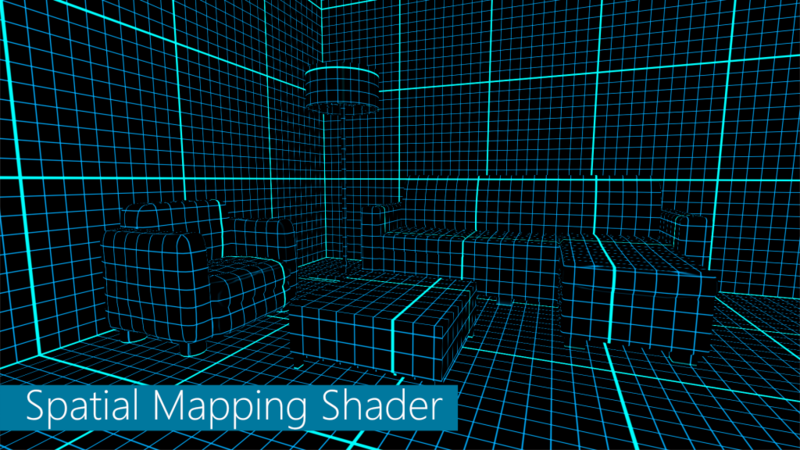 A wireframe shader with different colors for front and back material. If you have questions about using these material or would like to see other shaders included please feel free to contact me.